Spring tends to be the time that most people feel their homes deserve a good cleaning. Well, spring is also an ideal time to clean your car! Spring is one of the most beautiful times of year for driving. Trees and flowers are in full bloom, and everything in nature is becoming more vibrant and active. Of course, drivers want to take advantage of this time of year to go exploring or to head to their favorite scenic spots. But, how is your vehicle holding up after a long winter season? It most likely could use a little maintenance before heading into the summer season. Since the spring is such a good time to get your home ready for summer, why not your vehicle too? Figuring out the best place to start is often one of the most difficult aspects of any project. Indecision can lead to inactivity, meaning nothing gets done. If no action ever gets taken, then it is detrimental for both your vehicle and you as the owner. To keep things simple, let’s start with a basic car wash to get things rolling. 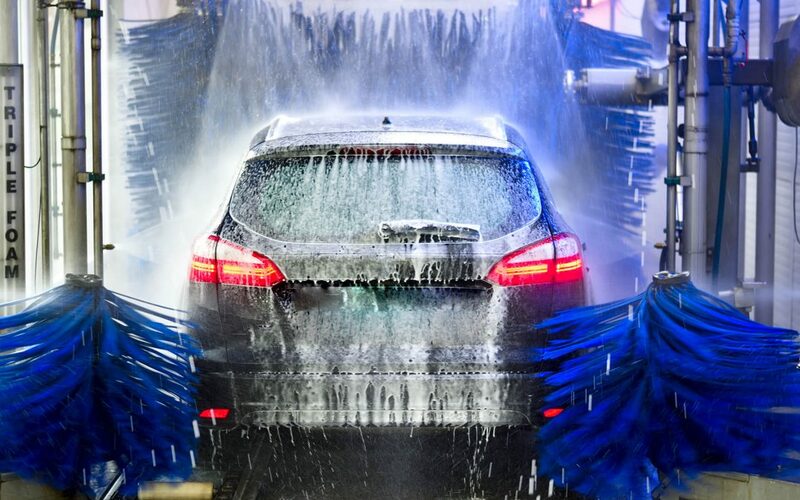 A spring car wash can be more important than you might imagine for your vehicle. During the winter, all the road salt that your vehicle was exposed to is likely hiding out in all the nooks and crannies of your car waiting for an ideal time to form rust. A great place to take you car to clean of the grime of winter, and get ready for the summer season, is at In N Out Car Wash and Detailing Centre in Brampton. In N Out has been serving car owners in the Brampton and surrounding areas for over 50 years. There are several car wash options available at In N Out Brampton. Whether you are looking for a basic wash, premium service, or a full-on auto detailing, In N Out has you covered. The computer controlled soft foam wash system will rid your car of any caked-on dirt, salt, and residue from the winter. Not only will it do an excellent job of cleaning your car, it is also friendly to the environment. A fresh water rinse removes all the filth and debris from the body and undercarriage of your vehicle. These are the critical areas, that when neglected can form rust and corrosion. A hand-dried finish will get rid of spots and streaks, leaving your car looking shiny and new. Take one step further with a Triple Poly Shine Wax for an extra layer of protection and sparkle. If you want to treat your car to the ultimate cleaning and protection, car detailing services are what you are looking for. Auto detailing takes cleaning to a new level, providing an intensive and thorough cleaning for every inch of your car, both inside and out. The auto detailing technicians at In N Out have a wealth of experience detailing all different makes and models of vehicles. Using a time-tested approach, and nothing but the best cleaning products and equipment, your car will come out looking it did when you first bought it. Come in to In Out Car Wash and Detailing Centre today to treat your vehicle right!